Here’s a late-night slice you won’t regret tomorrow morning. Unveiled at Charleston Wine + Food 2017, Dough Boyz mobile pizzeria has been making the rounds, posting up at Bar Mash and Elliotborough Mini Bar, as well as Upper King digs. Ask co-owners Victor Eanniello, former manager at O-Ku, and French Culinary Institute-trained chef Evan Romano for their “Chef Special”: a pie layered with sweet corn, shishito peppers, shrimp, n’duja, and pickled pearl onions. Locations vary. Known all over the Lowcountry for its vintage pickup truck outfitted with a wood-fired pizza oven, Coastal Crust is now a brick-and-mortar off Coleman Boulevard. Its rustic charm lives on, with a walk-up ordering window and weathered outdoor picnic tables lit by twinkling strings of lights. Order Neapolitan-style ’zas with fluffy, slightly charred crusts, topped with combos that range from kiddie cheese-and-red-sauce to a funky mozz, bleu, prosciutto, and fig with a truffle oil base. 218 Simmons St. 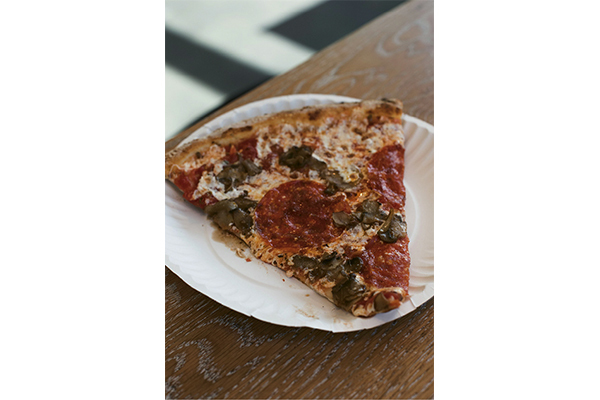 Housed in a walk-up shack outside of Workshop, Pacific Box & Crate’s fancy food court, Slice Co. is the place to go to order New York-style slices (don’t worry—you can also purchase whole pies). Floppy, foldable thin-crust slices of cheese start at $4, or you can upgrade to pepperoni, white-based, or “grandma-style” for $4.75, plus extra for toppings like pickled veggies and ricotta. Our pick leans classic: red-based with mushrooms and pepperoni. 1503 King St. 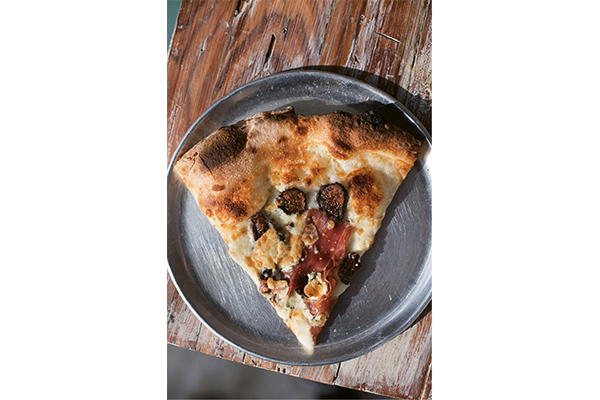 Started by two College of Charleston pals, this Sullivan’s Island joint is serious about serving classic New York-style pizza, even importing water from Brooklyn to make authentic crust. 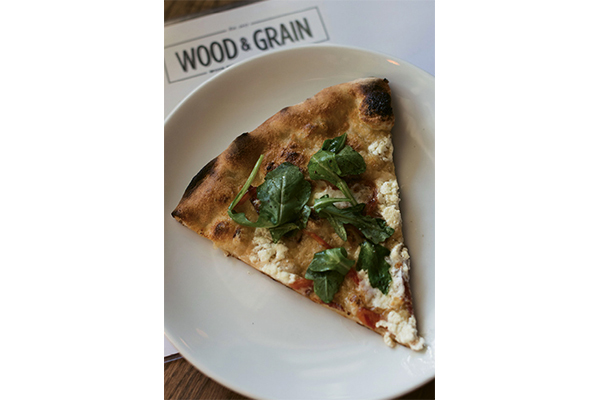 Dine on “The DeMarco,” a riff on a thin-crust margherita with house-made red sauce, Brooklyn mozzarella, basil, extra virgin olive oil, and grated Parmesan— and decide for yourself whether they replicate a street vendor’s slice or not. 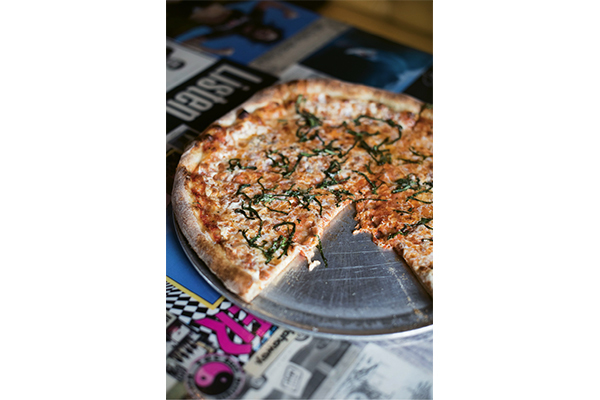 2213-B Middle St.
Perhaps the trendiest spot on our list, Juliet is more airy-café than old-school pizzeria—which makes sense, since it’s owned by the couple behind Collective Coffee Co. But don’t fret, because the eatery’s minimalism ends with its décor. The pies are topped generously, and there’s tableside olive oil for dipping every last bit of pillowy crust. 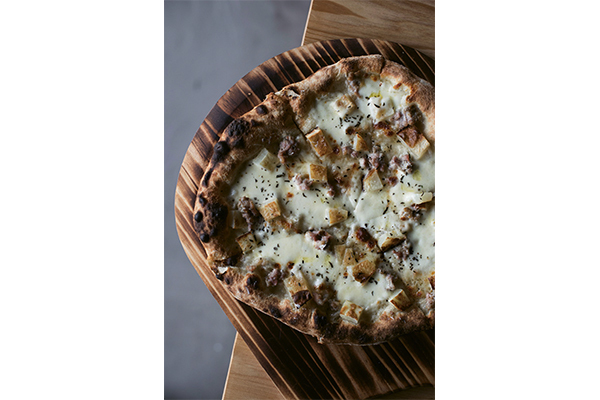 Get the “Sausage & Potato,” a savory white-based pizza with provolone, chunks of roasted potatoes, tender fennel sausage, and a smattering of rosemary. 654 King St.